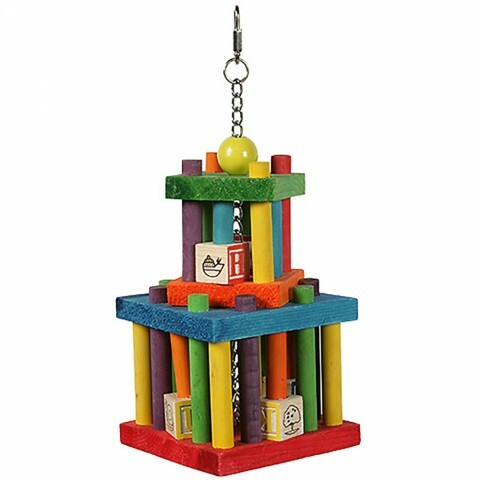 Push some of your birds favourite treats inside the bars. 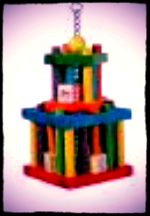 The Building Block Maze is suitable for larger birds and is designed to encourage physical activity with bright colours and unusual shapes. A great source of entertainment to help keep them healthy. An alternative may be sent.